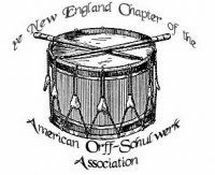 The New England Orff Chapter is an affiliate of the American Orff-Schulwerk Association. The Chapter offers six professional development workshops for teachers annually. Each year, the Chapter also offers scholarships for members to attend the American Orff Schulwerk National Conference as well as scholarships to attend Orff Levels teacher training courses. The number of scholarships offered varies from season to season. For more information on scholarships, look click on the word, "scholarships", in the above menu. What is the American Orff-Schulwerk Association? ﻿The American Orff-Schulwerk Association is a professional organization of educators dedicated to the creative music and movement approach developed by Carl Orff and Gunild Keetman. Their mission is to demonstrate the value of Orff-Schulwerk and promote its widespread use; to support the professional development of their members; and to inspire and advocate for the creative potential of all learners. Orff-Schulwerk: What It Is and What It Is Not from a talk by Wilhelm Keller, then Co-Director of the Orff Institut, at Dana School in Wellesley, MA, 1969. To read the rest of "Defining Elemental Music", click here.